I love riding bikes. Given an opportunity I would love to ride each and every bike that has been manufactured around the globe. But when I'm trying to maneuver my moves on two wheels I'm inherently un-balanced. I'm exposed to a high risk of mishaps. So, if "Prevention is better than Cure" then who are my best buddies on road. 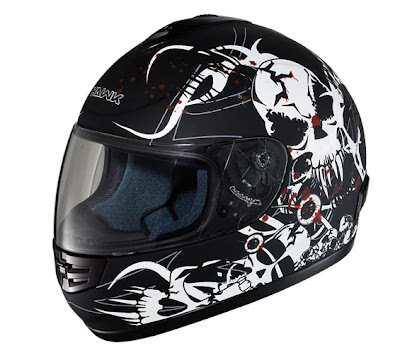 Helmets not only look cool and macho, they also protect the most important organ of a Human Being - The Head!! I've seen many accidents where the biker was not wearing a Helmet and landed on the other side of the bay. Again, there are many biker dudes who think wearing rookie. But we know who is right and who is eventually is going to get up on his own feet after a crash and think - "Thank God I was wearing a helmet!!" I myself have been involved in a couple of accident and eventually ended up in suffering some nasty road rashes on my elbow. We know rashes and bruises on the upper body make their presence felt big time. If only I would have wore a proper riding jackets, my injuries would have been far less. 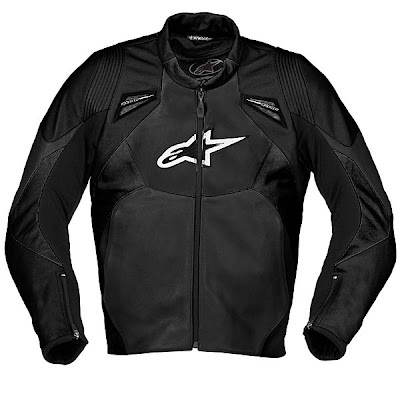 Biker Jackets not only look stylish and trendy, but also, they come fitted with armors on the shoulder, back and elbows to protect us from those nasty blood dripping Road Rashes. Apart from the elbow, the other body parts that takes the major beating are the Knee and the Upper Hip area. I've faced the trauma on both the areas and I can it's not good, it's certainly not good. The worst part is, you can afford to keep the Elbow and the Knee open so that the wound dries up quickly but the Upper Hip has no solution. Either you take off from you work till the wound has recovered properly, or be prepared to face the music. Here's were the trousers come into play. 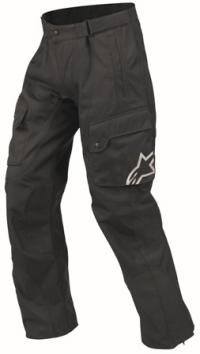 The inline-wire mesh and Knee cap provide that ultra necessary protection. One might think that it can be a pain for office goers to carry that much of extra luggage but think in terms of the protection it gives you, you would find it worth. In many parts of the country, it's becoming compulsary that a rider won't be allowed to ride without wearing shoes. 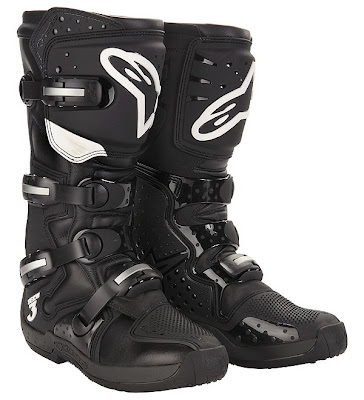 Riding boots though not absolutely necessary, but do become necessary if you are planning some fast, fun filled and long ride. 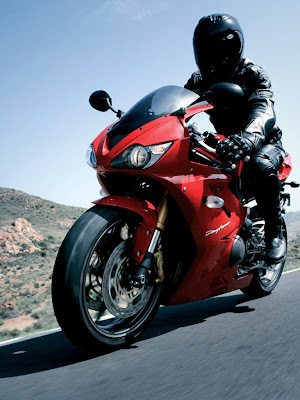 The Gloves probably is the second most important protective gear that one can have. In bad times it's the gloves that protect our precious hands from getting rashed up badly and allowing us to keep on going. We can only imagine what we would be doing if we have both our hands bandaged. Life would be an open eye nightmare!!! It's the knowledge of your machine, the confidence...... the faith that you have on your machine, that make you and your machine a single moving unit when on road (I'm certainly not talking about the daily commuters and Milk Men, who like to only to commute and treat their machines as peddle cycles and nothing else). In India 90% of the riders would think the only thing they wish to know about their bike, before buying it and for using it, is HOW MUCH MILEAGE THE BIKE WOULD BE GIVING!! They won't give a damn about the technology on which the bike is built, what speed limit the bike should be driven at (a dude riding a 100cc HH Splendor @ 80kmph would certainly come within the 90% crowd!!) and why, how to take care of your bike (majority think just take the bike to a once in blue moon service...... that's it). Common fellow bikers, grow up and think rationally. When on road riding a bike, the bike is your best Alie, give your machine some respect because your machine is giving you all the respect it can and much much beyond that. 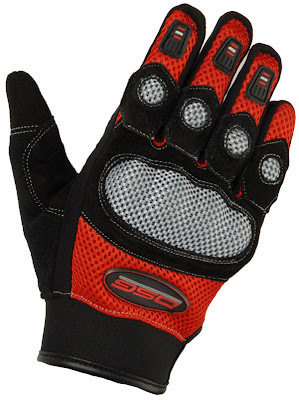 The pic of the DSG Gloves posted in the Post cost just Rs. 700 and is of very good quality. (my boss owns and uses a pair of those)..
Get one of those and I gurantee that you will love using it.